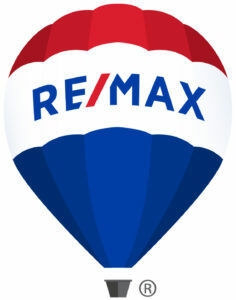 RE/MAX Checkmate minimum 10 words, maximum 200 words. My overall experience with Cindy Edwards was great. She had a high level of advice. She was very helpful with her communication and it was great all of the time. Overall, this was a great experience. I would recommend Cindy to my friends. Cindy is absolutely great!! She is very knowledgeable concerning all things real estate. The process of selling our home was complicated with all sorts of issues First off, we live 150 miles away. We never actually got to meet Cindy face-to-face either. She didn't let any of that stop her in doing what she does best! She took over our listing in early November and we have a contract in January! There were so many complications after the contract but she guided us through them all with ease. She always had our best interest in mind and was always honest with us, even with the bad news. She didn't sugar coat anything. She was upfront with us and explained all our options in detail. She worked out a wonderful deal for us even with all the complications. If you want a real estate agent that will take good care of you, then Cindy is the person you are looking for! I just can't say enough good things about her. I chose Cindy to represent me in my search for a home because of her reputation for honesty and attention to detail. She listened to my thoughts and was able to keep us efficient in our search by recognizing whether or not particular property met the criteria I gave her. She was always on time for our appointments and worked diligently as an advocate for me. Cindy kept the search focused and provided detailed information which made decisions easier. Her experience and professionalism made the complicated process of purchasing real estate pleasurable. I wholeheartedly recommend Cindy to anyone interested in buying or selling a home. Yes, Cindy Edwards deserves 5 stars plus for the way that she handled the listing marketing and closing of my home. Lets face it, internet presence is the key to selling homes in today's real estate market. Cindy's approach sells houses. In fact, my buyer said the staging and photography is what sold him and his wife in SC on the property before they even set foot in it. Her creative approach minimized the unease factor of my driveway by a creative comparison video of its accessibility compared to other driveways. My buyer also mentioned that as a factor in the purchase. During the time Cindy had my MLS listing, my husband unexpectedly died. Cindy said she'd have my back and take care of everything. She did, and did it very well. It was the first real estate closed I attended without my husband, but Cindy was there for me. It's a level of professionalism rare today. You can't go wrong calling her! Cindy is a wonderful realtor. My wife and I moved out of state and Cindy's knowledge of the local market was a huge advantage in helping us find a great deal on a home that will be happy in for years to come! Knowing Cindy personally, I know hoe determined she is when it comes to keeping her skills honed. She continues her education above and beyond the required CE units, she travels extensively to conventions and conferences and while there she researches those markets to continually bring new and fresh ideas "home" to her clients! I just bought a house from Cindy Edwards in Kingsport, TN. She is so helpful and is always willing to help in any way she can. We are investors and when we look at buying a house she is the first person I call. I would not use anyone else.